Properties in Baldwin County average 4.5 out of 5 stars. Gulf Shores......Great 3/2 Cottage Steps Away from Many Amenities and the Beach! Property 3: Gulf Shores......Great 3/2 Cottage Steps Away from Many Amenities and the Beach! Property 8: LOOK LOOK!! Spring Has Come To The Beach, Where Are You, 30% Off April Dates. Beachy pet friendly cottage right across from the beach! Property 9: Beachy pet friendly cottage right across from the beach! Couple's Getaway! Short drive to the beach! Property 12: Couple's Getaway! Short drive to the beach! Property 17: Check out this awesome, fun beach cottage! Cottage on Perdido Bay. Right on the Water, Big Trees, Quiet. Property 23: Cottage on Perdido Bay. Right on the Water, Big Trees, Quiet. Property 24: Kayaker Haven on the Bon Secour River in Foley Alabama! Property 26: Palmetto Paradise***Recently Remodeled!!!! It's always a perfect time to visit the beach! Property 28: It's always a perfect time to visit the beach! ADORABLE COZY COTTAGE ROOM FOR EVERYONE WITH POOL, HOT TUB & TENNIS! Property 29: ADORABLE COZY COTTAGE ROOM FOR EVERYONE WITH POOL, HOT TUB & TENNIS! Property 32: Charming Cottage With Beautiful Gulf Views - Perfect for Family Getaway! The Cottages at Romeo Beach #8- FREE GOLF, FISHING, DVD RENTALS, WATERVILLE AND ESCAPE ROOM TICKETS! Property 37: The Cottages at Romeo Beach #8- FREE GOLF, FISHING, DVD RENTALS, WATERVILLE AND ESCAPE ROOM TICKETS! Property 39: Quiet spot on the Bay. Dog friendly. Use code SPRINGFUN2019 & save $$ online~Cozy Cottage~Great for Families!! Property 42: Use code SPRINGFUN2019 & save $$ online~Cozy Cottage~Great for Families!! 3 bedroom 2 bath unit with gulf and pool view. Property 48: 3 bedroom 2 bath unit with gulf and pool view. 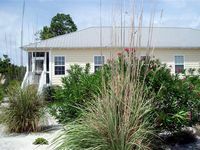 Property 49: Use code SPRINGFUN2019 & save $$ online~Cute Cottage~2 Saltwater Pools!!! Felt right at home. The place was very comfortable and clean. The beds were great to sleep in. The entire complex was very nice. Was a great place to relax after a long day at the beach.